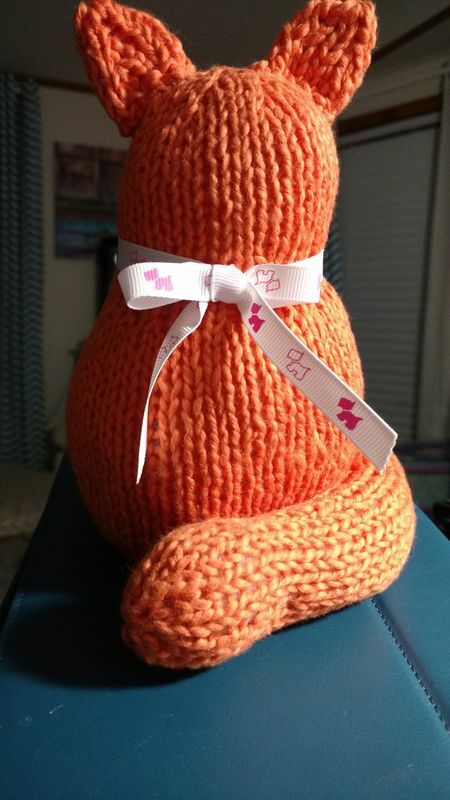 I knitted this fat kitty for my bff. Trying to decide face or no face. Or just whiskers or nothing at all. That is so cute! I’d like to see a face on it, but I’m never right about these things, so don’t listen to me. In any case, your bff is gonna love it! I'd go with whiskers only too !! I'd do a face. I think eyes would make it. Do the whole face. It will be cute and gives it character. Eyes and whiskers at least! But whiskers need nose too. whiskers eyes and nose, He's great. Me too. I made a cat in a colour very similar to yours. I did a black nose and mouth and blue buttons for eyes and black whiskers. Everyone likes it, but it depends what you like yourself. Put them on and then take them off if not happy.